Tips on how to be a smart, “intentional” wife! So many women (like me) grow up thinking once they find their Prince Charming, they’ll get married, he’ll be perfect, and they’ll live happily ever after. It’s as if we think we’ll be sprinkled with fairy dust or something and our marriages will thrive with no hard work on our part. Not true! We MUST intentionally work on our marriages. When I start neglecting my husband, or when I fail to remember to press into the Bible instructions for wives….well, my relationship with my husband starts to get a bit more like we’re roommates who simply tolerate each other. It happens so slowly that we often fail to notice the slow crumbling of a once-vibrant marriage. Don’ let this happen to you! Be intentional. Proverbs 21:5 says “The plans of the diligent lead to profit as surely as haste leads to poverty.” So, be diligent in working on your marriage. 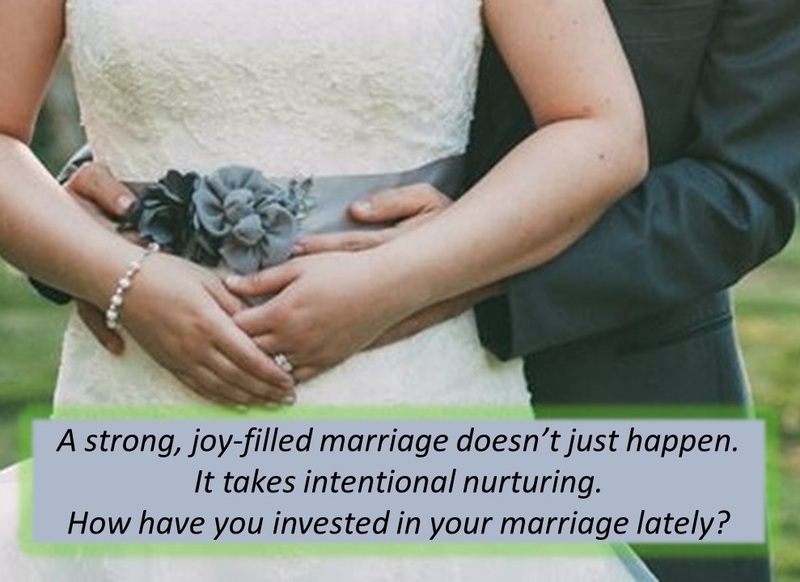 Wives who intentionally nurture their marriages have the most fulfilling and joy-filled marriages! Here are just a few ideas on how to nurture your marriage. Ask God every morning how you can bless your husband this day, perhaps with a small act of kindness or a word of appreciation. Ask God if there’s any small seed of resentment toward your husband that’s taking root in your heart. If there is, ask God for wisdom in respectfully addressing this issue with your husband. Carve out time for date nights or date lunches with your man every single week. You may have to trade babysitting with another woman, but do whatever it takes to intentionally nurture your marriage. Also, make sure you create opportunities to laugh together and have fun together. Those kind of moments are very bonding. Great marriages don’t just happen. They take effort….and it’s worth it! ← 2 easy tips to help you keep the house tidy!